It’s that time of year–time for massive amounts of shopping. The hardest part is knowing what to get. Sometimes they have lists, but sometimes I feel like my kids don’t really know what they want. They have a limited world view and don’t know what is out there in the way of toys. So I decided to go on a hunt for some cool toys that most kids will sure to love. So without further adieu, here is 10 awesome toys for kids! 1. 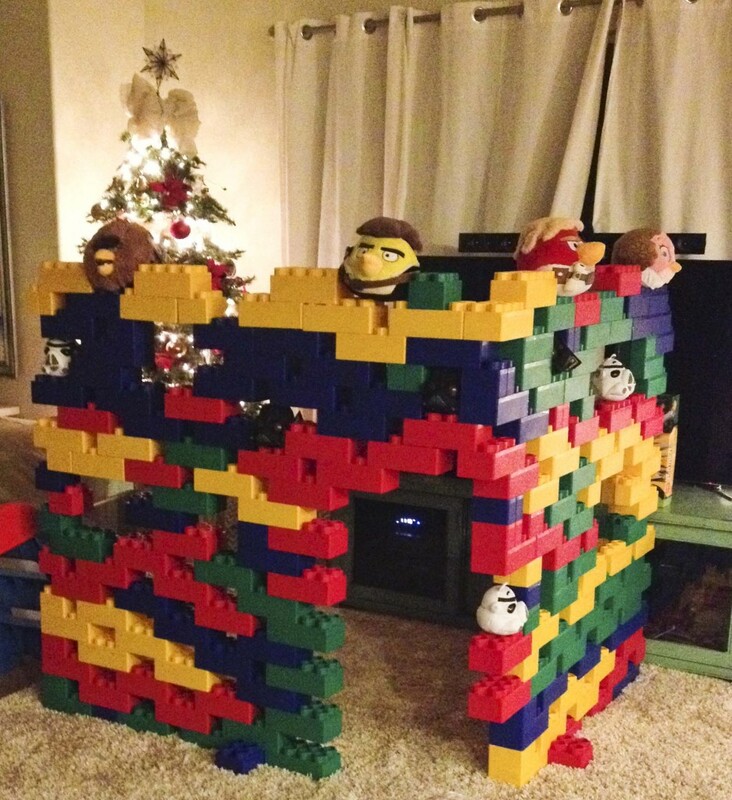 Giant Legos: We got these for our kids last Christmas and they have been a huge (pun intended) hit! They use them to make forts, tunnels, even beds. And they are the novelty toy for other kids when they come over because they are not in every kids’ house. We got two sets of 96 which is plenty for a fort, but you can still have loads of fun with half that. Buy them on Amazon and have them shipped for free! We also got stuffed Angry Birds to go with them so they can play ‘real life’ Angry birds. Set up the blocks, put the Pigs within and on top, then throw the Angry Birds at them! So many fun ideas go with these blocks and they are indestructible. Make sure that you have some storage space for them, they take up room when not in use. We usually stack them into towers so our kids can be responsible about cleaning them up and putting them away. 2. 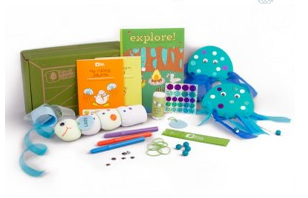 Kiwi Crate Monthly Kits: If you have a kid who is constantly doing ‘projects’ (like my 6 year old), this is the perfect gift for them. Each month they will get a full kit to do a project that usually contains enough to do for the entire month–if you pace yourself. The products are high quality and easy enough for a 5 or 6 year old to do by themselves. Read my full review here of the one I tried. 3. 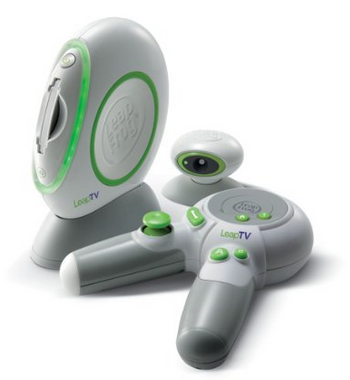 LeapTV: I wrote a full review of LeapTV and I still stand behind this review. It’s been a bundle of fun for my younger kids and they are learning too! 4. Razor E300 Electric Scooter: Forget your kids–I want one of these! 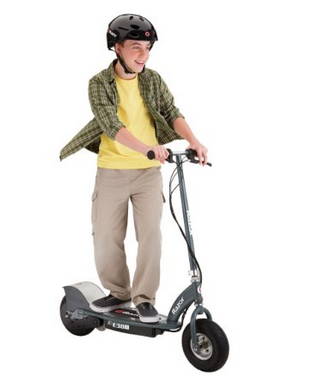 Perfect for zipping around the neighborhood and they go about 15 mph, just fast enough to be fun but not too fast to be dangerous. My aunt has one of these and I’ve ridden it around many time, feeling as giddy as a child each time. These are great for older kids, 12 and up. They are a little more pricey, so consider it their ‘big’ gift. Also make sure they learn to take care of it well so they don’t kill the battery. It must be turned off each time and charge it before the battery is completely dead. Don’t store it outside. The E200 is also a great option. 5. 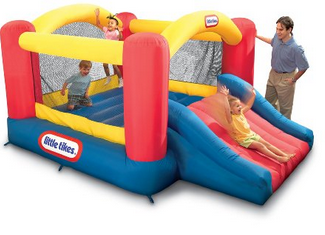 Indoor Bounce House: Several of my friends have gotten these for their kids and they are always a hit. This would be another splurge, but seriously worth it when kids have to spend most of the long, cold winter indoors. Put it in the basement and let the kids play for hours! They are also very popular for other kids to play with when they have friends over. 6. 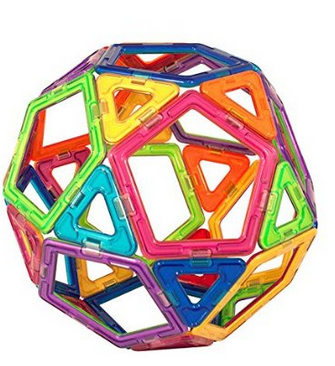 Magformers: These magnetic toys held my kids captivated for a long time. They are a safe and incredibly easy toy to use, so most ages can enjoy them. They really let the imagination run wild with the number of creations your child can make with these! 7. 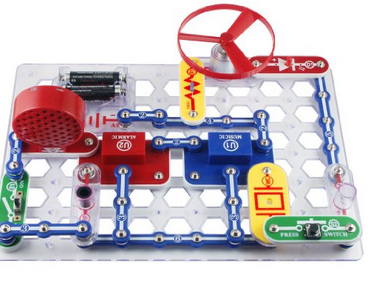 Snap Circuits Jr.: This toy received over 1500 5-star reviews on Amazon and frankly, it looks awesome. It is the perfect gift for your kids who love to tinker and build. It’s a set that comes with a bunch of electric components that snap safely together to create various electronics, such as a light bulb, a burglar alarm, a doorbell, and more! It’s a great introduction to electrical science and very educational. 8. 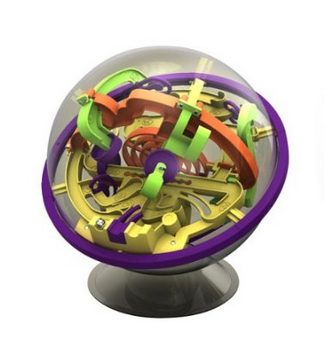 Perplexus: If you are looking for a game that the entire family can enjoy (on a one-at-a-time) basis, this would be it. It’s a great thing to have lying around for those ‘bored’ moments, when your child can just pick it up and suddenly find themselves entertained for the next hour as they try to navigate the ball through all the nooks and crannies of this game. 9. Tabletop Air Hockey Set: My kids went over to a friends house earlier this year who owned a large air hockey game. They played it for hours! 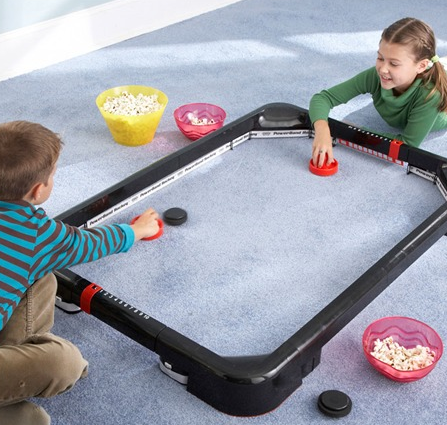 I really wanted one but air hockey tables are a big commitment. They are large and kind of pricey. But this is the best of both worlds–A good price and easy to store away. My kids could easily play this for hours on our unfinished basement floor. 10. 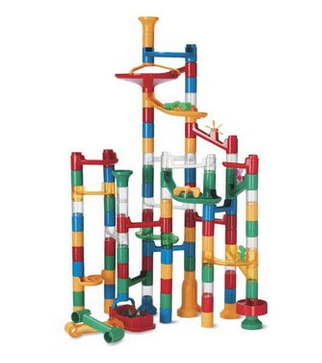 Mindware Marble Run: Build a marble race track in an endless possibility of designs! These are so fun for kids–whenever my kids have played with them, they are entertained for hours. These are better for kids 4 and up, kids who will not put the marbles in their mouth and who can put the pieces together themselves. But they also make a really good grandparent toy, something for the grandkids to play with when they visit. I haven’t personally tried all of these but I have tried most. They all have good reviews and should make good presents for the children in your life. Merry Christmas!